The early education job market is tight; finding qualified employees often takes up a substantial amount of time for a child care owner. 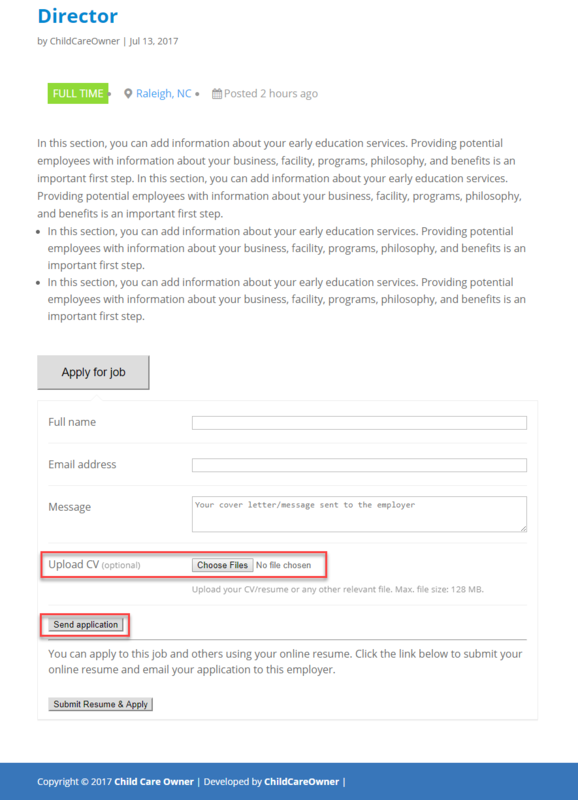 Child Care business owners often place job adds on the various job boards – Indeed, Career Builder, Craigslist or Zip Recruiter. 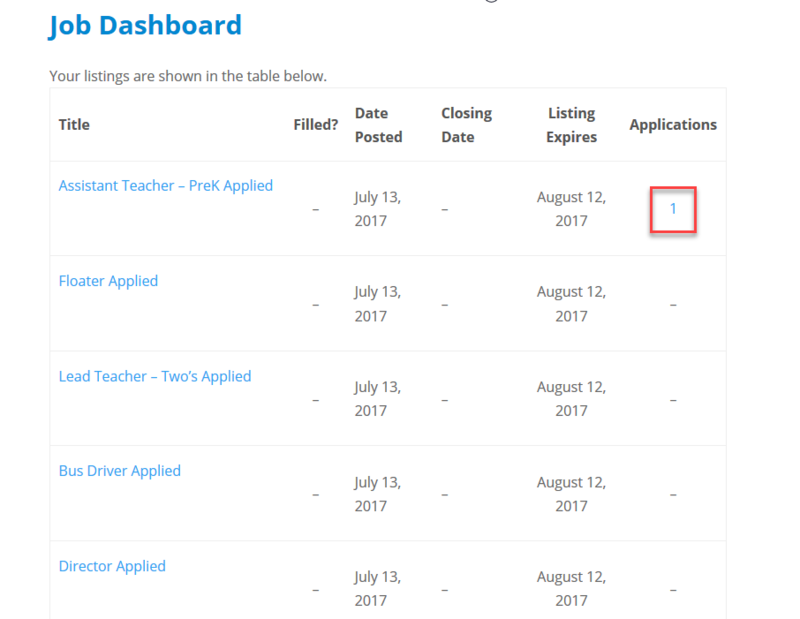 Each job board has its own application and resume process. This is great however it means the child care owner must login to multiple job board accounts to review messages, applications and resumes from potential candidates. 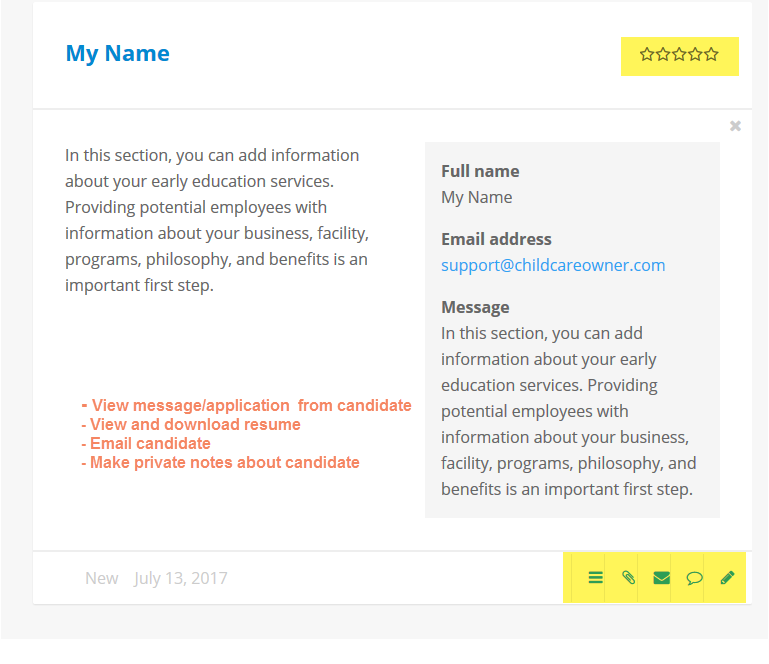 Through your child care business website, you will login to review applications, resumes, email candidates, and provide a rating and private notes for each candidate. Saves you many hours of time! 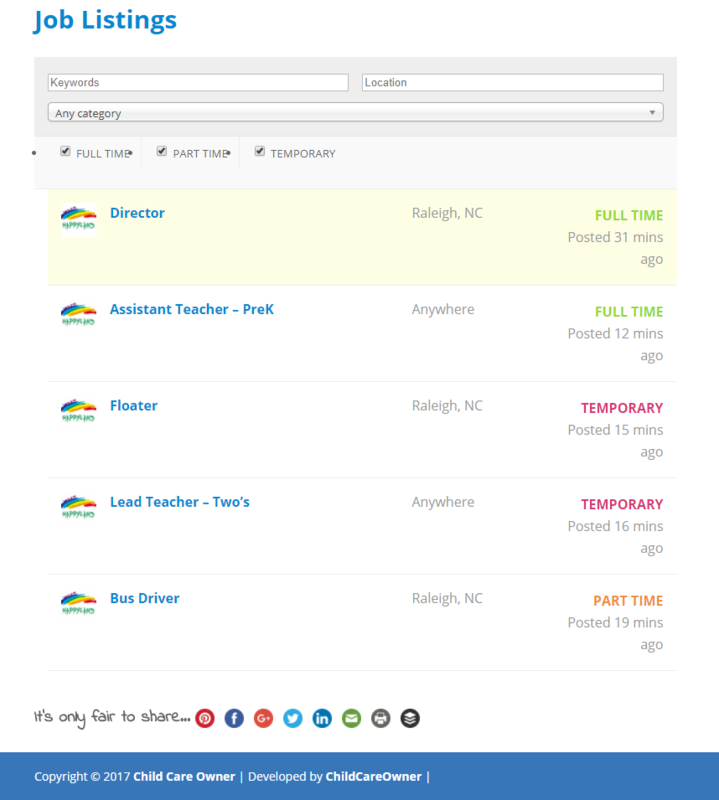 The Job Listing Manager may be added to any of our Child Care Owner websites. (Your child care business website must be hosted with and managed by Child Care Owner).